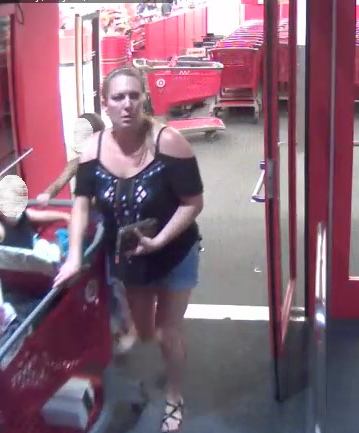 July 28, 2016: Detectives in Franklin want to identify a felony shoplifter who stole $650 in merchandise, with two small children at her side. It happened at the Cool Springs Target on July 11 at 7pm. The suspect concealed women’s clothing and perfume, and then walked out of the store. She loaded the stolen merchandise and two kids into an extended cab truck before driving away.